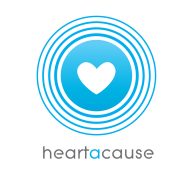 Heart A Cause is a one-of-a-kind awareness & fundraising event series where the worlds of fashion, music and art combine to benefit a cause close to our heart. We have been fortunate enough to partner with organizations who go above and beyond to offer help, resources and engage with communities needing assistance. Rachel Truehart of ABC's "The Bachelor" and "Bachelor Pad 3"